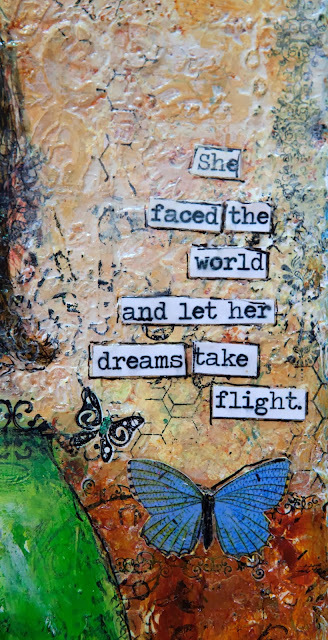 Creative Mayhem: She Faced the World - Mixed Media 'She Art'. 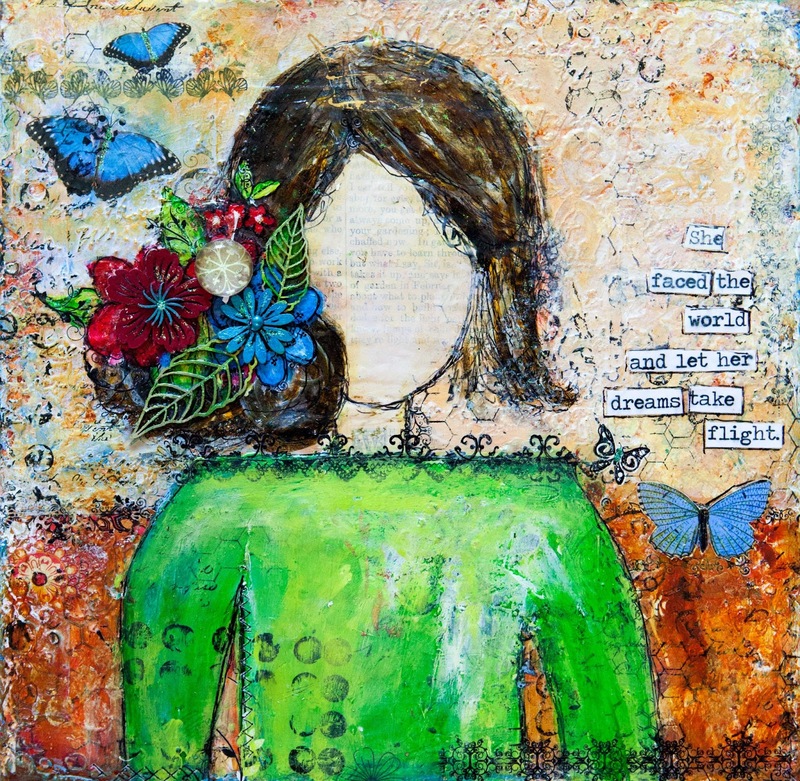 Here is my mixed media canvas that was published in Scrapbooking Memories. 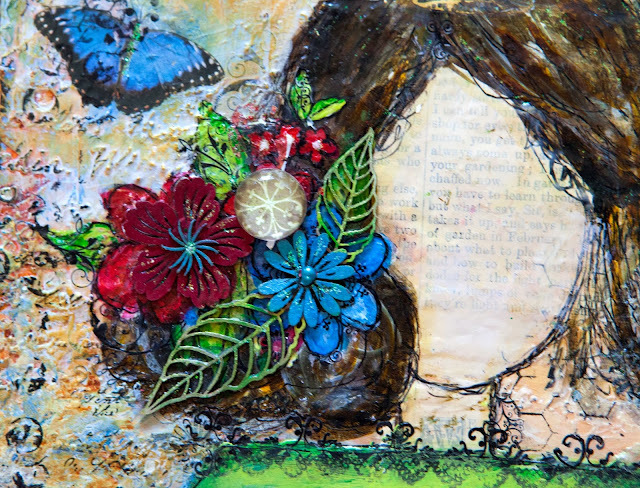 I really enjoyed doing Christy Tomlinson's 'She Art' 1 and 2 courses. Christy's signature painting for the class just took my breathe away so here is my take on this. I rarely use a green palette (normally opting for blue) so it was a refreshing change. I used Scapmatts chipboard in her hair to add texture and because their flowers are so lovely.